Have you ever considered Cancun as a place to get off the beaten path? Probably not. Isla Mujeres, or the Island of Women, is located northeast of Cancun and can be easily reached by taking a 20 minute ferry from the mainland. Don’t worry if you are not staying in the Hotel Zone. There are three ports that you can take to get to the island: Gran Puerto (Ultramar ferry), Puerto Juarez (Magaña Express) or Punta Sam (car ferry). Feel free to ask your hotel concierge for directions to the closest port to you, or give the name of the port to your taxi driver and they will know exactly where to take you. Isla Mujeres has a relaxed island vibe. The island is visited by giant sea turtles in late May when they dig their nests and lay their eggs. From May – September the waters off Isla Mujeres and Cancun are home to the largest concentration of whale sharks – the largest fish in the sea. Isla residents love the whale sharks and have named them “domino” because of their distinctive white spots. To welcome their arrival, locals organize a parade and festival every July. The seafood at Isla Mujeres is incredibly fresh and succulent. In Playa Lancheros, one of the most beautiful beaches on the island, you will find La Casa del Tikinxik, a small outdoor cafe that serves the most delicious Tik-in-chik on the island – a traditional Mayan dish of grilled fish. If you arrive at Isla Mujeres early, check out Mango Café for their popular breakfast specials. At night, you will have plenty of bar options to choose from with some of the best outdoor music in the Mexican Caribbean. 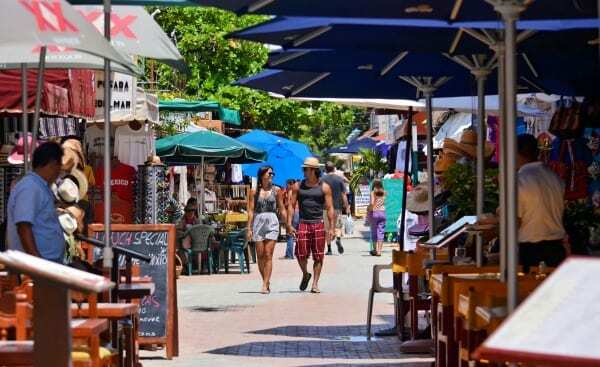 While exploring the main streets of the island, don’t miss the artisan shops selling pottery and jewelry. A visit to Isla Mujeres is not complete without a stop at Garrafon Natural Reef Park, where you can snorkel and even zip line across the Caribbean Sea. 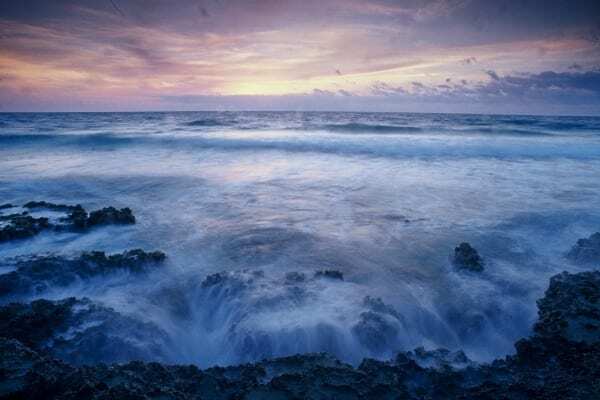 Punta Sur, next to Garrafon, receives the first rays of the sun in all of Mexico and is the highest elevation in the Yucatan Peninsula – so if you can get up early enough, go! Take a bus from the Cancun Airport or Cancun bus depot to Chiquila. Then take the ferry at Chiquila to arrive in Holbox. Choose private air taxi services with AEROSAAB. Secure special shuttle services from your hotel (if available). 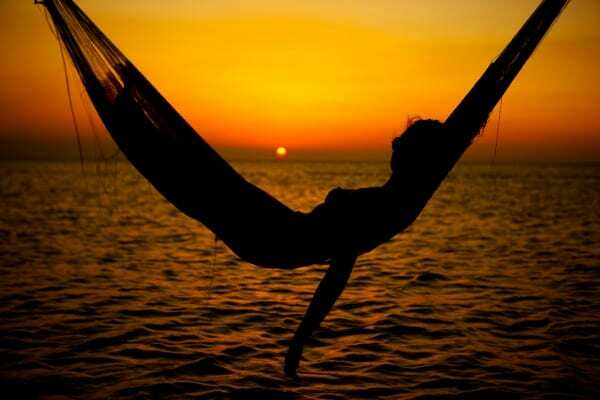 Rent a car and drive to Chiquila to take the ferry to Holbox. The car will have to remain in Chiquila as Holbox does not allow cars on the island. This small island, part of the Yum Balam Reserve, is home to flamingos, whale sharks, and other exotic species. Holbox is best known for its ideal calm waters for kite surfing, and has a couple of kite surfing schools, if you are feeling adventurous. The hotels here are tiny, you won’t find any with more than 40 rooms, and TVs are not available at most hotels. If you want to explore the island, you can rent a golf cart or bike to get around. The fishermen moonlight as tour operators, and are extremely knowledgeable about the island and the natural areas that surround it. During season you can find hundreds of flamingos and waters filled with whale sharks. Holbox residents are very friendly and you will see that many of them are expats from all over the world, making the gastronomy offerings very diverse. Don’t miss the famous Lobster Pizza at Edelyn Pizzeria or the ice cream at Maresa Ice Cream Shop (also found all over the island). Many hotels and restaurants will also cook your freshly caught fish – so if you get lucky fishing, eat your catch for dinner! Isla Contoy is located 18 miles north of Isla Mujeres and is considered one of the most important seabird nesting sites in the Mexican Caribbean. Protected by the federal government since 1961, and declared a national park in 1998, the island is home to more than 150 migrating and resident bird species. This island is ideal for serious bird watchers and nature lovers. If you want to visit the island, you must take an official tour that sails from either Isla Mujeres or Cancun. Tours to the island offer snorkeling on the Ixlache Reef, bird watching, and a lunch consisting of regional fruit and dishes like the famed Tik-in-chik. Puerto Morelos is a friendly, laid-back fishing village located 20 miles south of Cancun and the only destination listed above that can be reached by car, ADO or Mayab buses in the area. 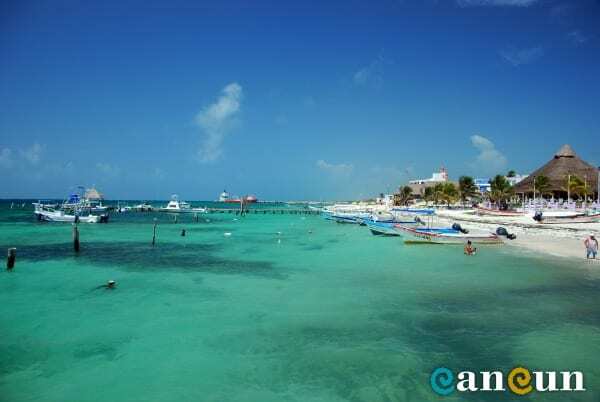 Puerto Morelos has some of the most pristine beaches in Cancun and is ideal for scuba diving and snorkeling. If you like to fish, Puerto Morelos hosts various international fishing tournaments every year, and offers various deep sea fishing excursions. The village is located very close to the Mayan jungle, which makes it ideal for mountain biking and trekking. Puerto Morelos is also famous for their handicrafts and silver jewelry, so when you are in the area keep your eye out for quality charms and colorful hammocks. One of the charms of Puerto Morelos is the mix of small boutique restaurants and hotels with large luxurious properties. Restaurants in the area specialize in a variety of cuisines. El Nicho is a small and popular place for brunch, Tacos.com has the best Mexican food in town, and Le Chique at Azul Sensatori Hotel offers a haute cuisine experience with various courses and pairings. Don’t miss the live music at Unico Beach Club, photo ops at the famed leaning lighthouse, and interact with the animals at Crococun Zoo. The Little Mexican Cooking School is also a must-visit for foodies. Here you will learn how to cook traditional Mexican and Yucatecan cuisine that you can showoff to your friends when you get back home. So many people in my life have visited Cancun recently but because of the “Hotel Zone” I haven’t necessarily felt inspired to give it a try. These day trips are much more my style! I love the idea of check out the national park, Isla Contoy!